Baruna Indo Nusa was established in 2010 as a sole proprietor company and in order to serve the Marine Safety Industry. 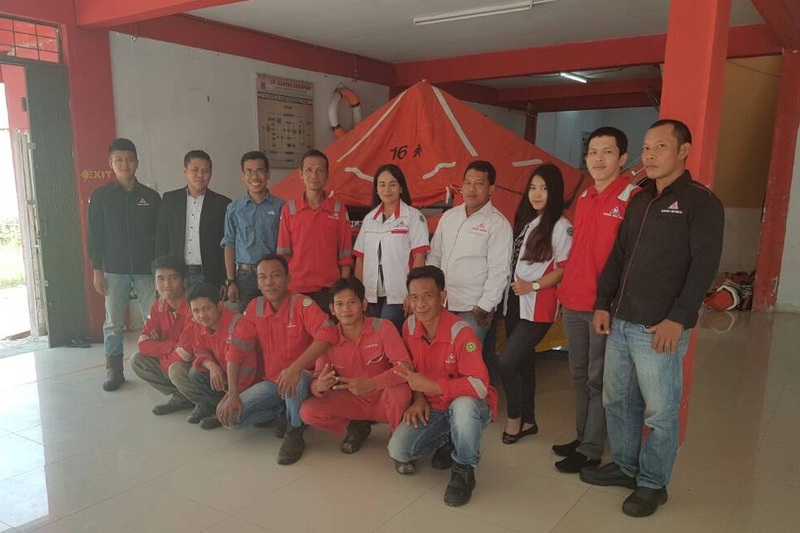 Baruna Indo Nusa is Approved Service Stations offers to our customers an ‘extra choice’, a more competitive pricelist and a 24 hours monitoring of quality service. All safety services follow the IMO and Classification regulations. Baruna Indo Nusa recognized and developed its reputation thought out the years, by providing Global Services and Sales of Life Rafts, Fire Fighting, Safety Equipment, as well as per SOLAS MSC 1206, the Annual and Five years Inspections of Lifeboats & Davits. Following closely market’s increasing demand for extensive and higher safety measures combined with the need for stricter and more efficient regulations, our personnel is constantly informed of the new SOLAS Regulations, IMO Resolutions and Requirements of the Maritime Safety Committee, as to have our selves in the position to offer the highest service standard to our customers. In particular, all Engineers / Technicians are certified and trained by Makers leading to a periodically improvement of specialization and increase level of knowledge over products representation, services and regulations. Led by Mr. Adi Antoni, SH and a strong management, team professionals and industry experts, Baruna Indo Nusa is the largest Life-Saving/Fire-Fighting service provider in Indonesia and aims to provide on its experience and expertise top quality solutions through its current service offering and future growth plans in Indonesia and overseas. Leave everything to BARUNA INDO NUSA, just watch and see where satisfaction guarantee.